At this point, it’s practically impossible to go outside without seeing white, Q-tip-looking earbuds sticking out of people’s heads, and with sales of Apple AirPods expected to rise to between 50 and 55 million this year, that phenomenon probably won’t go away anytime soon. 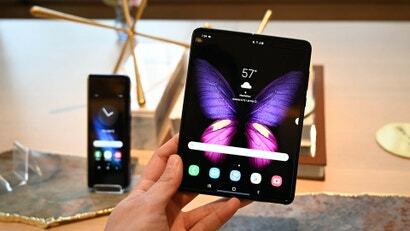 Samsung Unpacked has finally happened. No more rumours. No more speculation. Over the past six months the Galaxy S10 arguably became the most leaked flagship phone ever. 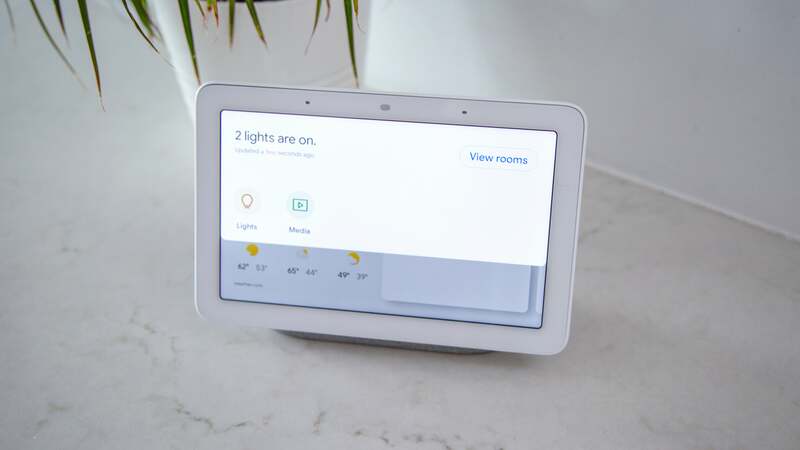 It made the Pixel 3 details look airtight. 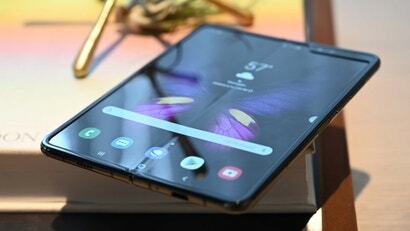 But it is now officially out in the ethos, and we're to deliver all the details - including when it will land in Australia and exactly how much it's going to cost you. 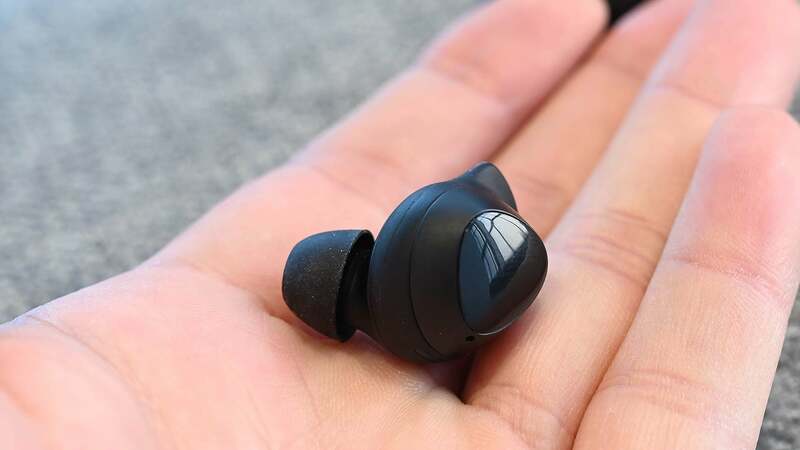 Meanwhile, over in Samsung’s camp, while the company is no stranger when it comes to making wireless headphones, none of the previous Gear IconX earbuds ever solicited the same kind of hype Apple’s dangly competitors receive. 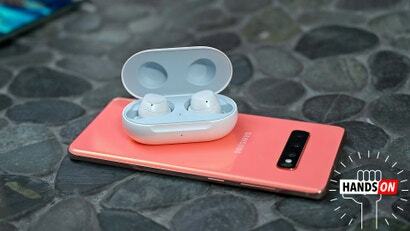 But that could all change soon because by bringing its latest pair of Bluetooth earbuds under the Galaxy umbrella, Samsung is signalling that it thinks it finally has a worthy rival to the AirPods, and in classic Samsung fashion, the company is trying to use to superior tech to make its case. 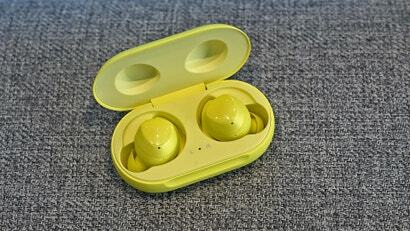 Listed at $249 (or free if your pre-order a Galaxy S10), the Galaxy Buds are actually $20 more expensive than Apple's AirPods in Australia. However, Samsung claims the Galaxy Buds offer six hours of music streaming or five hours of talk time on a single charge, slightly better than the five hours of music and two hours of Apple says its AirPods deliver. 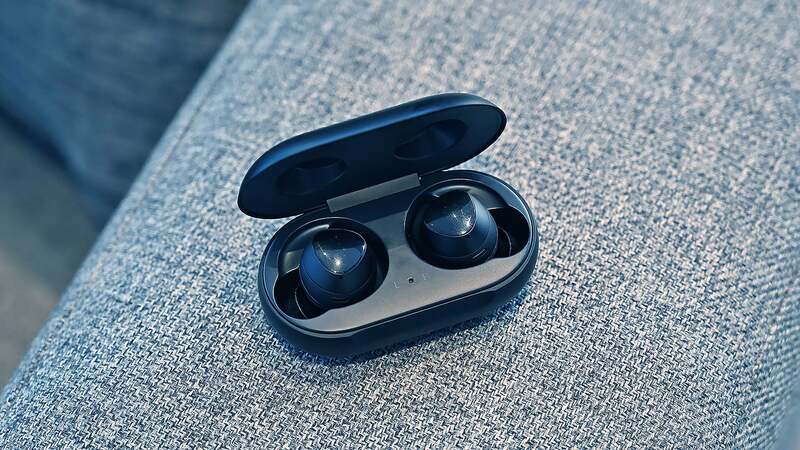 The Galaxy Buds also come with support for Bluetooth 5, something last year’s Gear IconX buds didn’t have, which often caused audio cut out a bit too frequently. 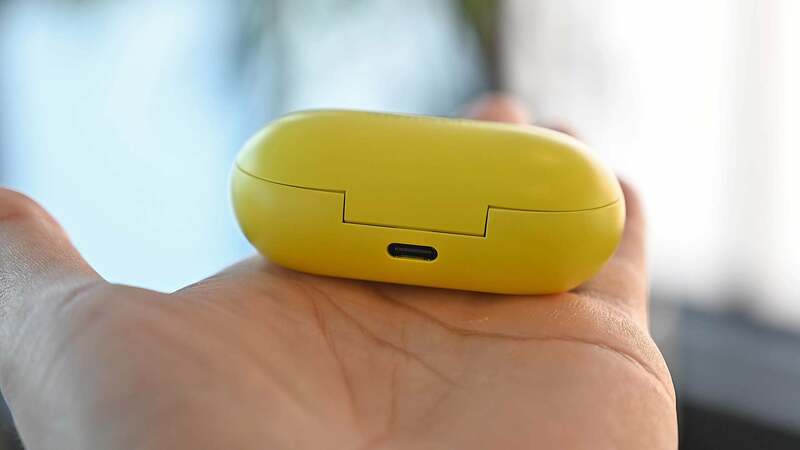 But the real kicker is that in addition to the Galaxy Buds’ case featuring a built-in battery that holds at least two more full charges, the case can be recharged either via its USB-C port, or wirelessly using any Qi-compatible charging pad. That’s a biggie, because the latter is a feature AirPods fans have been asking about for more than a year, after Apple itself announced it was working on that tech way back in the fall of 2017. 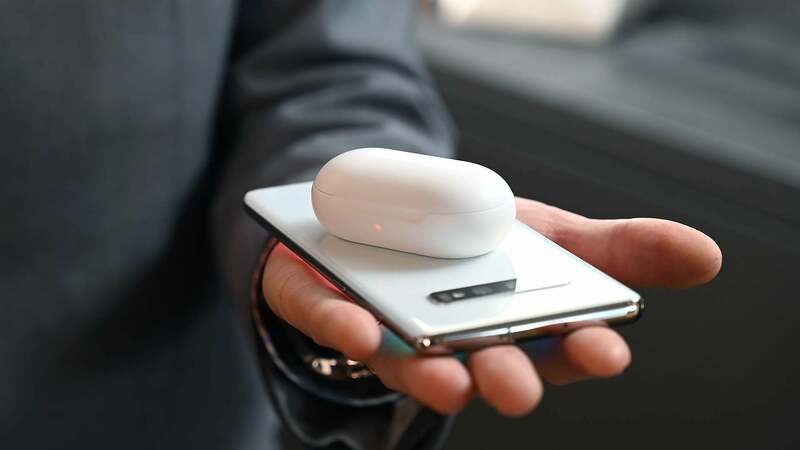 Also, with the Galaxy S10 now sporting reverse wireless charging, you’ll even be able to send excess juice from your phone to the Galaxy Buds in a pinch. 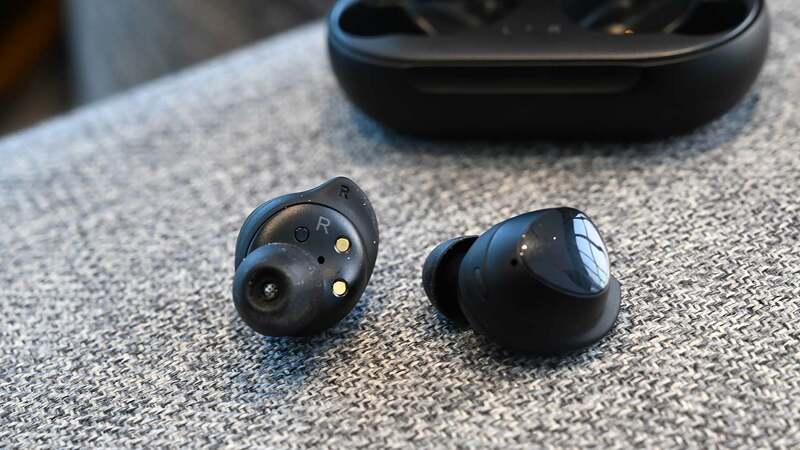 And of course, unlike the AirPods, the Galaxy Buds’ design don’t feature any extraneous protrusions sticking out of your ears. Ultimately though, the success of Samsung’s Galaxy Buds will ultimately rely on their audio quality and the stability of their Bluetooth connection, both things that will require more than a controlled five-minute demo to truly evaluate. 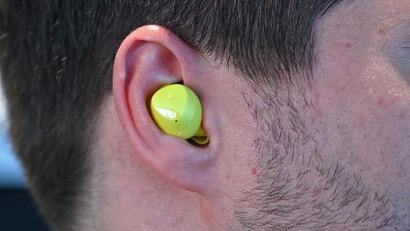 That said, while Samsung might not be able to completely halt the rapid adoption of AirPods with the Galaxy Buds, simply becoming the default Bluetooth headphones for the Android crowd would be a massive win.